Only possible after advance reservation, Monday-Sunday from 10.00 a.m. – 6.00 p.m. We are happy to provide individual offers for smaller groups. Learn more about the history of our brewery and the secrets of brewing beer. For hundreds of years barrels were also manufactured by breweries. In Kaltenhausen we will show you an original cooper’s workshop. 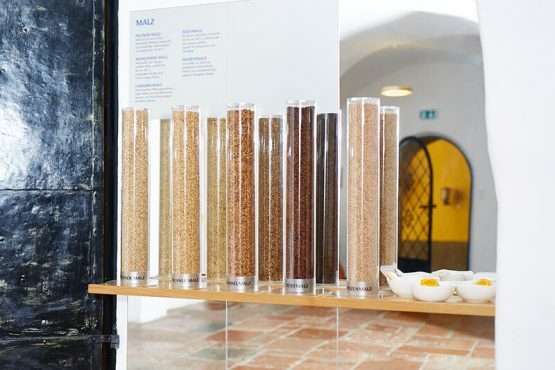 You will visit the brewing coppers and the fermenting and storage cellars in which Kaltenhauen’s beer specialities are brewed every day. You will taste Kaltenhausen’s current beer specialities with a trained beer sommelier and get an insight into the world of different beers, their language and the culture of glasses. At the end of the guided tour you can enjoy a small glass of beer and a brezel in the Braugasthof. 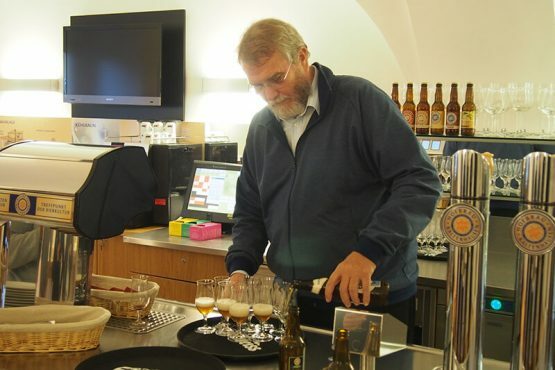 Special guided tour "Women & Beer"
Beer – purely a male preserve? Not at all! In ancient Egypt, for example, beer brewing was firmly in women’s hands and even in the 18th century ale houses were usually run by women. The guided tour “Women & Beer” illuminates the little-known feminine side of beer and and brings to light interesting anecdotes from the history of beer. A small glass of beer and a brezel form a relaxed ending to the tour. The speciality beers from Hofbräu Kaltenhausen inspire through creativity and passion for beer. And you can taste that! After a guided tour of the brewery you take a discovery trip with a beer sommelier and taste 7 to 8 beery creations from our speciality production centre. And of course a relaxed conclusion with beer and brezels in the Braugasthof is part of it. 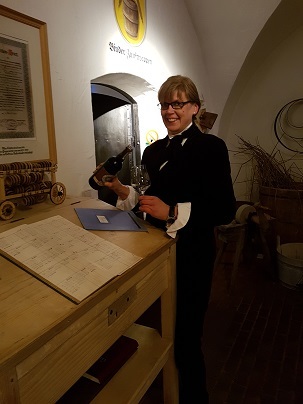 Special tour "Franz Xaver Gruber & Beer"
In his lifetime, Franz Xaver Gruber, the composer of the world famous Christmas carol, was verifiably a beer lover, who entered his visits to taverns in his diary and recorded his beer consumption in detail. He frequently stopped at the tavern in Kaltenhausen and firmly praised the beer served there. The themed guided tour of the brewery reveals this private aspect of the composer. Anecdotes and stories, based on the diary entries, portray Gruber, the “beer lover”. It includes tasting the special edition “200 Jahre Stille Nacht” (200 Years of Silent Night), which has been created for the anniversary, is based on the beers of the time and is dedicated to Franz Xaver Gruber and his world famous composition. 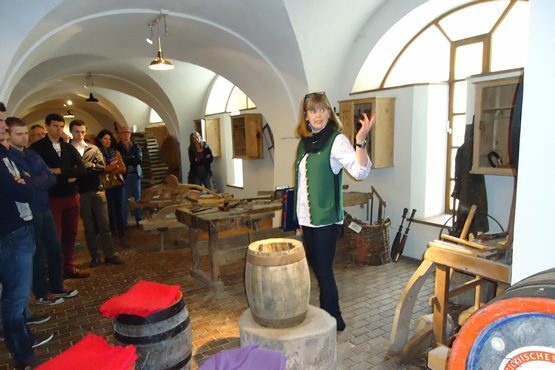 The guided tour comes to an end in the newly furnished Gruber Stube in the Braugasthof.